Prof. Yuping Wang (Ph.D., M.S., B.S.) was received his Ph.D. degree in computation mathematics from Xi’an Jiaotong University, Xi’an,China, in 1993. 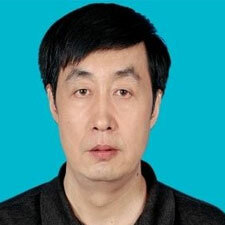 He is currently a full professor (from 1997- Now) with School of Computer Science and Technology, Xidian University, Xi’an, China. He is a senior member of IEEE. His current research interests include evolutionary computation, optimization algorithms and modeling for engineering problems, network task scheduling. He has published over 200 research papers in journals and conferences. From January, 1997 to 9/2009, he was a visiting research scholar with the Chinese University of Hong Kong, the Hong Kong Baptist University and the City University of Hong Kong many times. He was the Member of the Editorial Board of Integrated Computer Aided Engineering, and the Guest Co-editor of several journals such as International Journal of Pattern Recognition and Artificial Intelligence, Integrated Computer Aided Engineering, Mathematical Problems in Engineering and International Journal of Innovative Computing Information and Control. He was Co-Chair or Co-PC Chair of several International Conferences.